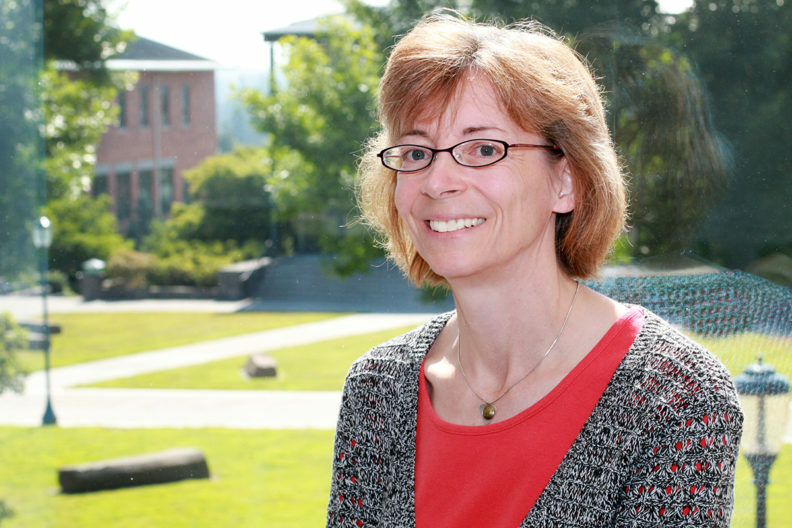 Barbara Sorg, WSU Vancouver professor of neuroscience, serves as lead author on research paper regarding impact of cocaine on brain circuits. VANCOUVER, Wash. – New research suggests that even a small exposure to cocaine can fundamentally alter a delicate molecular net that surrounds brain cells associated with addiction, leading to changes in the activity of brain circuits. The research was published in the October 2018 journal eNeuro. The study used a rodent model to shed new light on a little-understood structure covering some neurons known as perineuronal nets, or PNNs. Researchers examined the function of PNNs surrounding a group of neurons associated with addiction. “By understanding how these particular brain cells respond to only a few exposures of cocaine, we can gain insights into how cells might miscommunicate and set into motion early events that contribute to the addictive process,” said lead author Barbara Sorg, Ph.D., professor of neuroscience at Washington State University Vancouver. Previous studies have shown that some neurons in the brain are surrounded by these extracellular matrix structures. These PNNs form a barrier around certain neurons and prevent new connections between cells. The new study shows that exposure to even a single dose of cocaine in rats alters the PNNs that cover some cells in the prefrontal cortex which are important for forming and maintaining drug-associated memories that may drive addictive behavior. The finding could lead to the development of new medications to reverse the grip of addiction by targeting the extracellular matrix rather than neurons themselves. This work was supported by National Institutes of Health grants DA‑033404, DA‑040965, P30‑GM‑103398, P30‑NS‑061800, NIH‑DK‑111958 and HL‑125371.